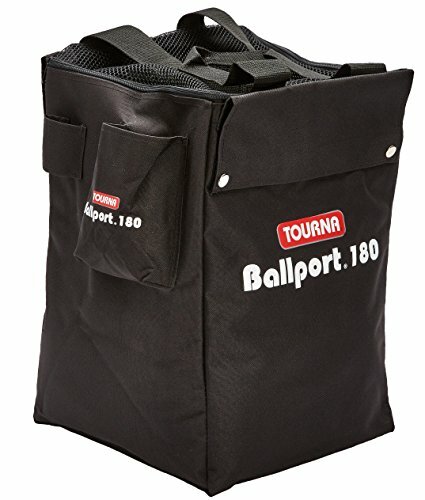 The Tourna ball Port 180 bag holds 180 balls. It can be used alone or as an extra bag for the Tourna ball Port 180 travel cart. Convenient pockets for your cell phone, keys, and racquet make it easy to travel to and from the courts.